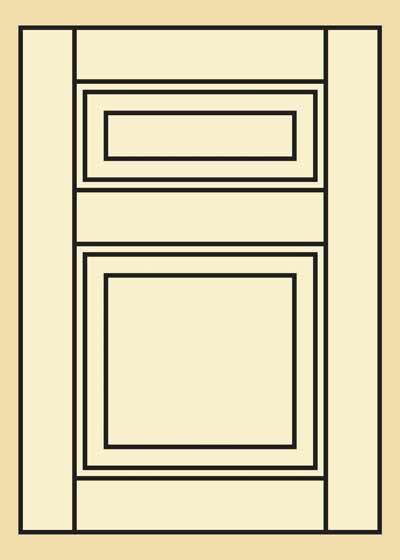 Premium Quality Raised Panel Walnut Kitchen Cabinet Door - Two Panel Traditional Style 304. For an instant price quote, simply choose your options below and enter dimensions. If you are unsure which profile options to choose, the preselected options are popular choices that go well with this kitchen cabinet door. Walnut is a highly desirable hardwood due to its rich, dark brown color tones and distinctive grain pattern. The heartwood of our Walnut kitchen cabinet doors consists of rich shades of dark brown to deep purple. 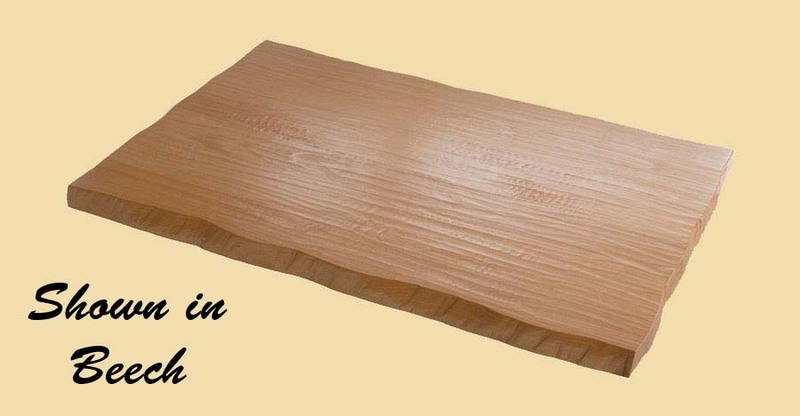 The sapwood is light to creamy white. Natural finish enhances Walnut’s elegant, satiny grain. This Walnut two panel traditional style kitchen cabinet door provides a great look to your kitchen cabinet or vanity. Each raised panel kitchen cabinet door is manufactured slowly and carefully using only premium lumber. Our wood cabinet doors add beauty and value to every home and also make great vanity doors. Stiles refer to the vertical boards running up and down on the sides, and possibly center, of the cabinet door. 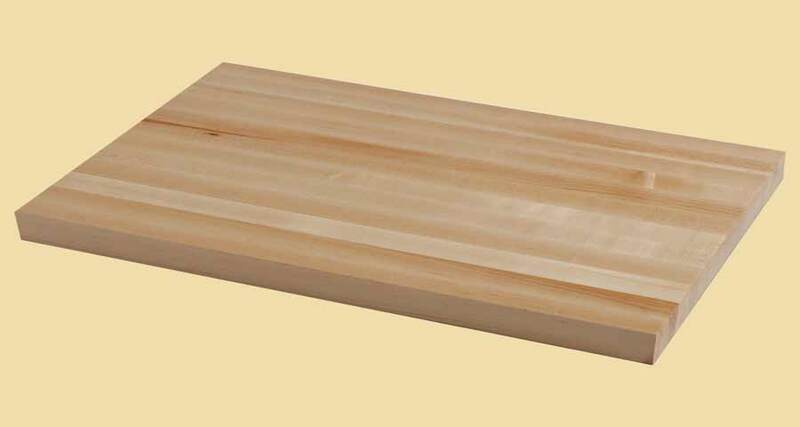 Rails are the horizontal boards on the top, bottom and possibly center of the cabinet door. Stile and rail widths are 2-1/4". For doors over 42" in height, a center rail will be added. For doors wider than 24", a center stile will be added. 35 mm holes can be drilled for hinges. Hole will be placed on the back 1/8" from the long door edge to the outer edge of the hole and 3-1/2" from the top and bottom edges to the center of the holes. For kitchen cabinet doors 42" and under, one hole will be drilled at the top and one at the bottom. For kitchen cabinet doors over 42", a third hole will be drilled in the center. Right or left is from the perspective of facing the front of the door. Kitchen cabinet doors on this page are sold unfinished. For prefinished or prestained kitchen cabinet doors, please visit prefinished kitchen cabinet doors. choose add to cart on the right, midway up the page.